i just found this incredible book on henrietta lacks written by rebecca skloot, “the immortal life of henrietta lacks.” those who are familiar with the scientific advances in biology, will know of her as being the unwilling donor of the hela immortal cell line. whilst all of this would simply be just another marvel of science, what makes henrietta lacks story so significant was that the cells were taken without her consent and against the wishes of her husband. in fact, the entire family was used unwittingly as guinea pigs in the search for more clues in their extraordinary genes. the ruse used was that they were being tested for cancer but no results or follow up was ever given after the samples were collected. instead the hela cells have been sold for $25 a vial to laboratories resulting in a booming pharmaceutical industry worth billions. the irony is that the lacks family themselves can’t even get medical coverage. 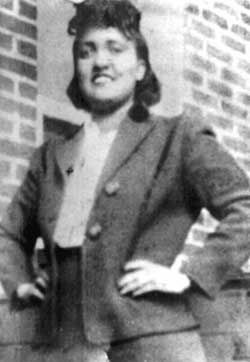 oh and the most obvious fact that shouldn’t surprise anyone is that henrietta lacks was african american and poor. besides being denied the rights to her tissue she is also denied acknowledgment of her contribution to saving the lives of millions. her family didn’t even learn of the cell lines existance until the 80s. indeed even the wikipedia entry glosses over the controversial circumstances in which henrietta’s genetic material was harvested. according to skloot’s book, the family, in particular henrietta’s daughter, still struggle with the knowledge that their mother lives on in laboratories everywhere. a thought which runs counter to their philosophical beliefs. the resulting argument runs deep in the scientific community with regards to ethics and the rights to our very selves. ← would you like a clean cup?